ESN, with no doubt, is an organisation which all the time is developing and searching for the ways to become better and stronger. So does ESN VMU. That’s why, for the first time in ESN VMU’s history, foreign students of Vytautas Magnus University had an opportunity to join the organisation as well. 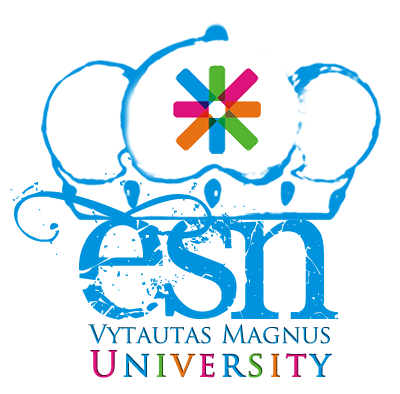 As every semester, recruitment of the new ESN VMU members has been opened. This time, international students were also invited to apply for becoming members of ESN VMU. As the result, half of new members are international students from various countries, such as Turkey, Mexico, Uzbekistan, Azerbaijan and others. This big change opens the door for more volunteering opportunities for international students of Vytautas Magnus University. It also will help a lot in fullfilling one of the main tasks of ESN VMU - uniting both, local and international, students of VMU for common events, ideas, equal opportunities. New members of ESN VMU, as always, had their first informal weekend trainings together with ESN VMU’s current board and two trainers from ESN Lithuania: HRComm’s Chair Tautvydas Utyra and Vice President of ESN Lithuania Karolis Kriuka. Trainings related to topics, such as teamwork, motivation, problems and conflicts’ solving, helped to know new members better and gave a start for building a team which will be working for ESN VMU’s events in the future. ESN VMU Board and active members believe, that haing international students in the organisation will help to create more effective communication between the ESNers and international students. Opportunity for the foreign students to join us is not a trial trick for once - each semester both, local and international students will be able to become a part of ESN VMU family.